Nihonbashi had been the commercial center of the city of Edo, what is now currently known as Tokyo, which houses a great number of long-established stores, some with over 300-year histories. Nihonbashi flourished as the largest intersection of five major highways during the Edo period. Its history started with the construction of the Nihonbashi Bridge, in the early 17th century. In the late 16th century, Tokugawa Ieyasu, the first Tokugawa Shogun built a massive castle in Edo, or present day Tokyo, subsequently beginning the development of a mammoth city. In 1603, Nihonbashi Bridge spanned the Nihonbashi River, which soon became a strategic traffic point with five highways intersecting it. 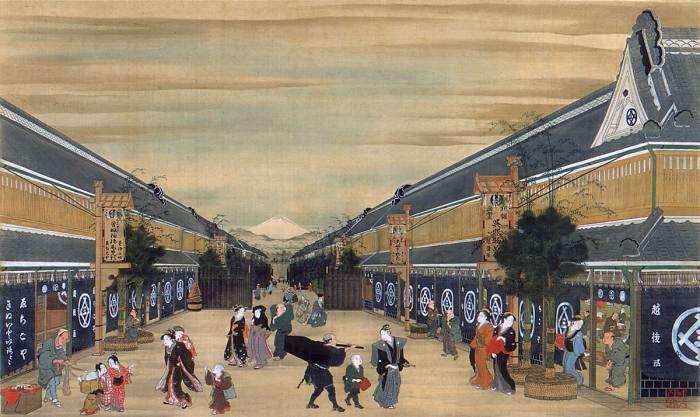 Throughout the Edo era, Nihonbashi, as the busiest of the intersections, continued to flourish. Being the traffic center of the early 17th century, subsequently led to the opening of numbers of commercial stores. The area drew people from all over Japan, who came to visit the city of Edo to enjoy shopping. One of those stores that opened during this period is Echigoya, which was established in 1673. 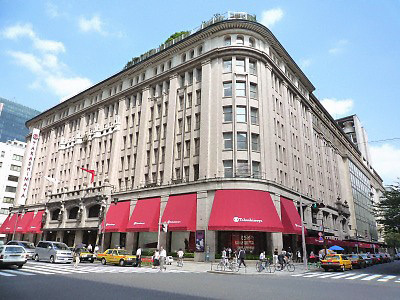 It is better known today as Mitsukoshi Department Store. Echigoya grew to become the Mitsui Group, one of the biggest conglomerates in Japan. After the Meiji Restoration, the Nihonbashi area once lost its vigor due to the demise of the Tokugawa Shogunate, which had been a driving force in the country for more than 260 years. 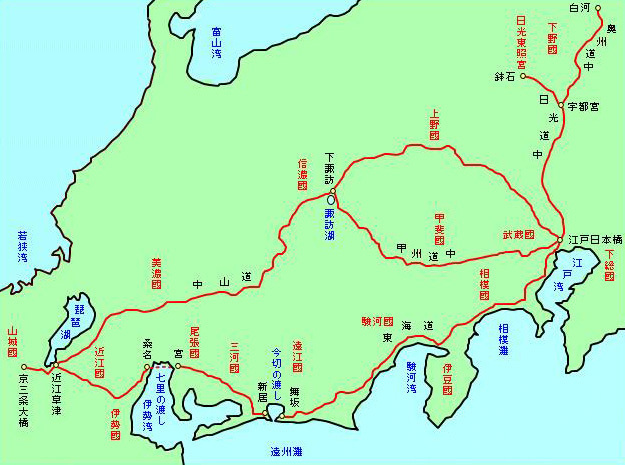 Shortly afterward, however, the area’s vibrance returned, equipped gas ramps and horse-drawn streetcars thanks to the rapid modernization of the new Meiji Government. In 1923, the Great Kanto Earthquake destroyed much of the city of Tokyo, and the area was heavily damaged. 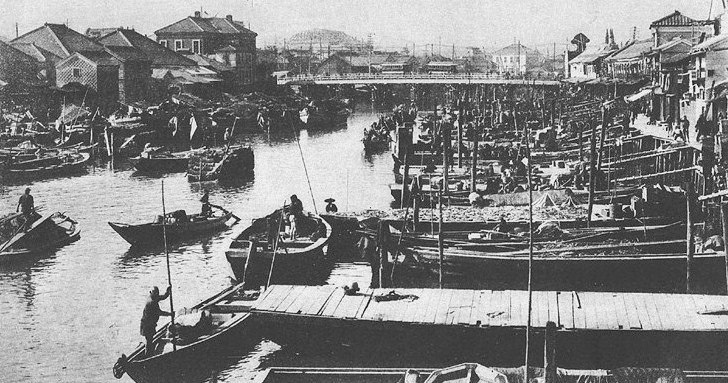 Thereafter, the fish market which had been in Nihonbashi for about 300 years moved to an area of reclaimed land along the Sumida River delta, now called the Tsukiji district, where one can now find the world famous Tsukiji Fish Market. After WWII, Nihonbashi had flourished as commercial center, although its presence was surpassed by other towns such as Ginza, Shinjuku, Shibuya, and Ikebukuro. 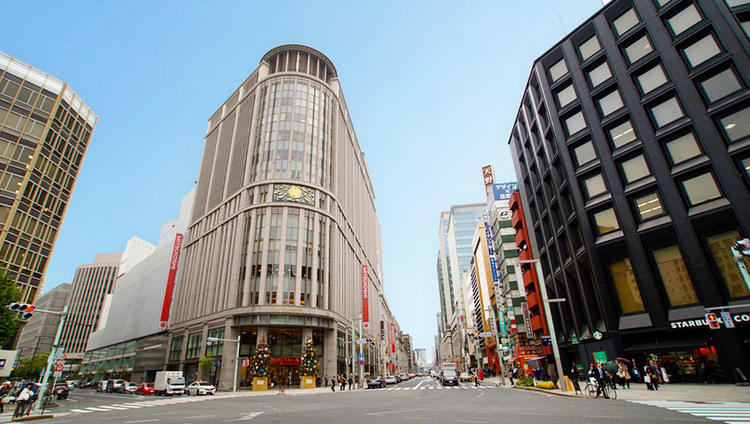 Recently, the area has been rejuvenated as a long-established, traditional commercial center by the Mitsui Group, one of the largest Japanese conglomerates whose roots are the Echigoya store in Nihonbashi, or the present day Mitsukoshi Department Store.